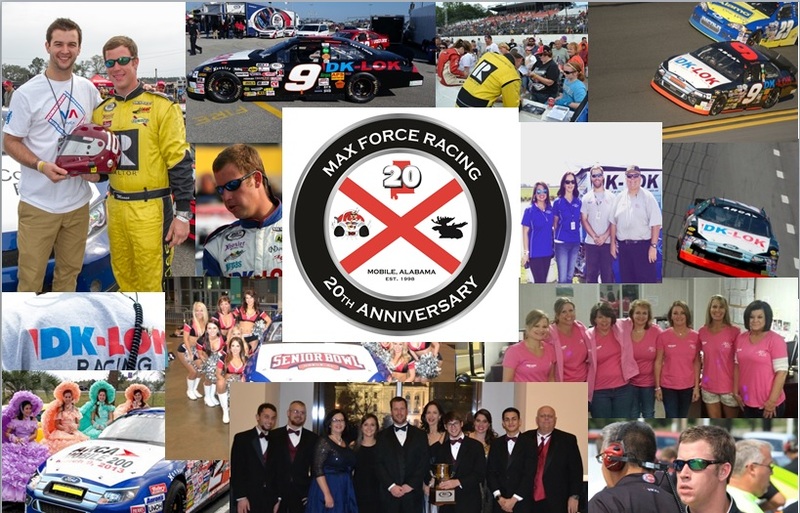 Realtors will be the primary sponsor for Thomas "Moose" Praytor's entry in the International Motorsports Hall of Fame 250 at Talladega Superspeedway on May 4th. "The Real Estate market is turning around in the state of Alabama and racing at Talladega is a great way to get the word out," offered Jo Glenn, President of the Montgomery Association of Realtors. 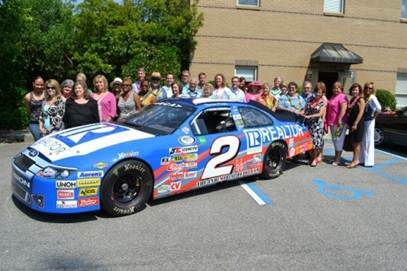 "Race weekend follows the Realtors National Open House Weekend and the timing is perfect to promote homeownership and the value of using a Realtor." The iconic Realtor R will adorn the hood and quarter panels of Alabama native Thomas "Moose" Praytor's Andy Belmont Racing Ford Fusion. A fellow Realtor the Moose will be making his first start on the famed high banks of Talladega Superspeedway. "For an Alabama driver it doesn't get any bigger than Talladega. As a 3rd generation Realtor to have the support from your fellow Realtors at racings biggest track is just awesome," said Praytor. "Being a Realtor and serving the people who entrust their biggest investment, their home, meant everything to my Grandmother (Jamie Praytor). Every day we try to live up to the standards she set for all of us in the real estate business." Race fans will get an opportunity to see the Realtor car up close and meet the Moose as they embark on the "My Home Is In Alabama" tour, April 27th through May 1st. The tour will begin in Mobile with stops across Alabama leading up to Talladega. "We hope that by taking the Realtor car to the people across the state we will remind everyone that home ownership matters," Gina Stopa President, Baldwin County Association of Realtors MLS. "We feel like the Alabama housing market is just like a racecar after a pit stop-we made an adjustment, put on 4 fresh tires, full of fuel and we're ready to go go go!" REALTORS�: Are "The Voice for Real Estate." REALTORS� are composed of residential and commercial REALTORS�, who are brokers, salespeople, property managers, appraisers, counselors and others engaged in all aspects of the real estate industry. REALTORS� are working for America's property owners, providing a facility for professional development, research and exchange of information among its members and to the public and government for the purpose of preserving the free enterprise system and the right to own real property. The term REALTOR� is a registered collective membership mark that identifies a real estate professional who is a member of the NATIONAL ASSOCIATION OF REALTORS� and subscribes to its strict Code of Ethics.